How to stop your horse from running away on trail rides. Q. My horse, Duke, is generally well behaved, but some days all he wants to do is run when we get on the trails. I end up spinning him in circles to calm him down and then make him stand still. But once we start moving forward, he tries to run again. How can I stop him from running on the trail? A. Going for a trail ride can sometimes be one of the most difficult things for a horse to handle. It sounds like, on occasion, Duke becomes insecure and emotional when he is on the trail. 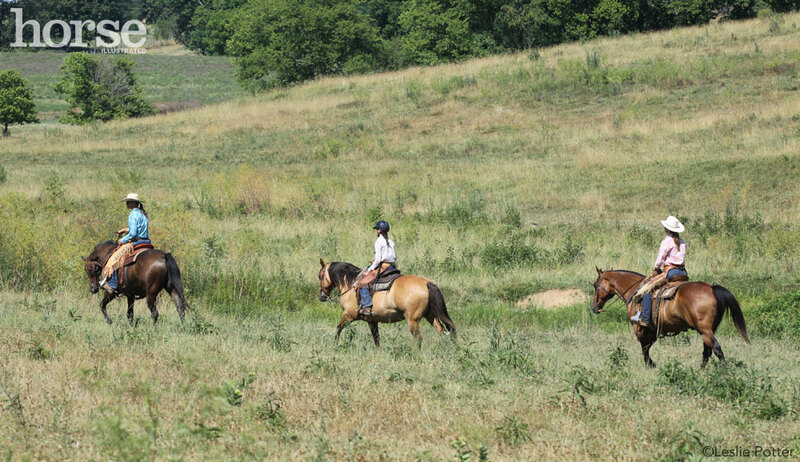 Try to think about the trail ride from your horse’s point of view and it might help you understand his need to run. When you are in the round pen, or doing groundwork, Duke has the security of a very small area where he feels safe. Also, your groundwork with Duke is probably consistent and predictable, so he knows what to expect and that gives him a sense of security, too. Once Duke is out on the trail, where life is not as predictable, he may get scared or feel insecure—his prey animal instincts take over and tell him to, “Run for your life.” To top it off, there is a predator (you!) on his back. You might be gripping with your legs and holding tight on the reins, which makes the trail even scarier to him. Use the round pen as a safe place to slowly increase the amount of pressure Duke can handle. Do a variety of exercises and change things up to keep him thinking. Use tarps, poles, barrels and other items to build Duke’s confidence. Allow him to be curious and explore the items before you ask him to go around, over or through them. If he is frightened by something, take him away from the scary thing and then go back to it. Be patient. While on trail, teach him to put his nose on various things. Focus on a tree, a fence post, or anything else that’s around, and guide (leading or in the saddle) your horse to whatever you are focusing on. When he looks at it, give him a release (stop asking). Ask him to get closer and closer until he gets curious and puts his nose on it. 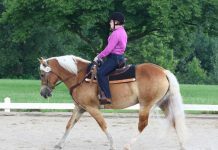 You will be surprised at how quickly your horse learns to follow your focus. Be sure you can disengage his hindquarters and go sideways (on the ground and mounted). Disengaging a horse’s hindquarters takes away his power, so he can’t run off. When you’re out on trail, pay close attention to what happens before Duke runs off. Try to get his mind by giving him something to do with his feet: Ask him to move his hindquarters over, go sideways or put his nose on something. Remember, you are trying to get your horse’s attention focused on you and you’re trying to build his confidence so he can think instead of using his instincts (and running) when his emotions rise. 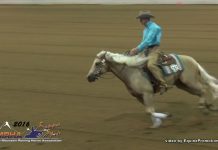 Expert: An avid horsemanship student, Traci Falcone has completed more than 4,000 miles on endurance rides including four Tevis Cup “100 Miles in One Day” rides. In 2004, she rode Tevis completely bridleless.